Designed for HVAC contractors! 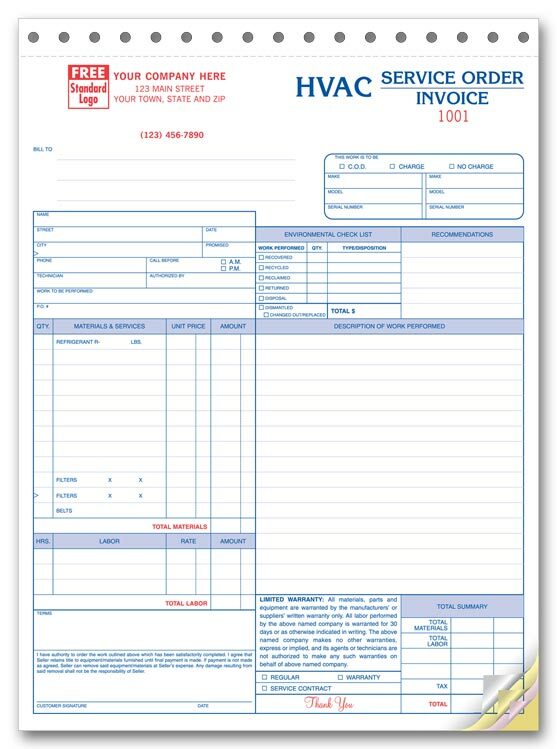 Lets you write up work orders, invoice for completed jobs & keep a permanent cost record. 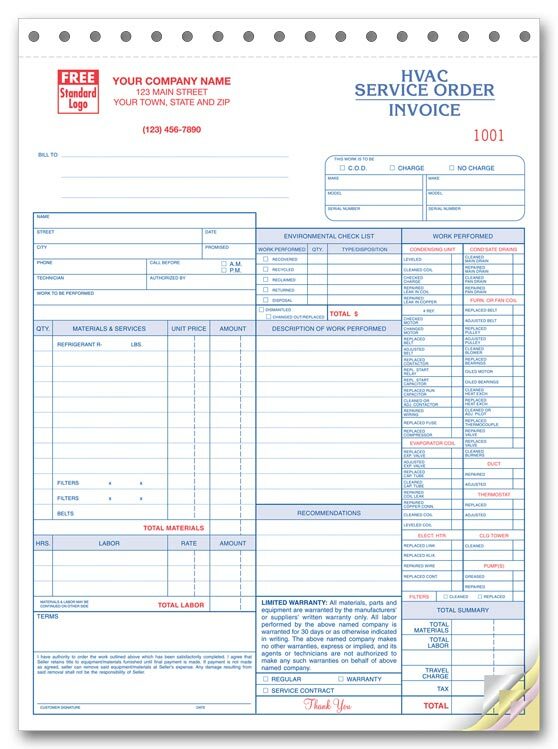 Includes a work-performed checklist that keeps you organized & provides customers with a detailed service record. 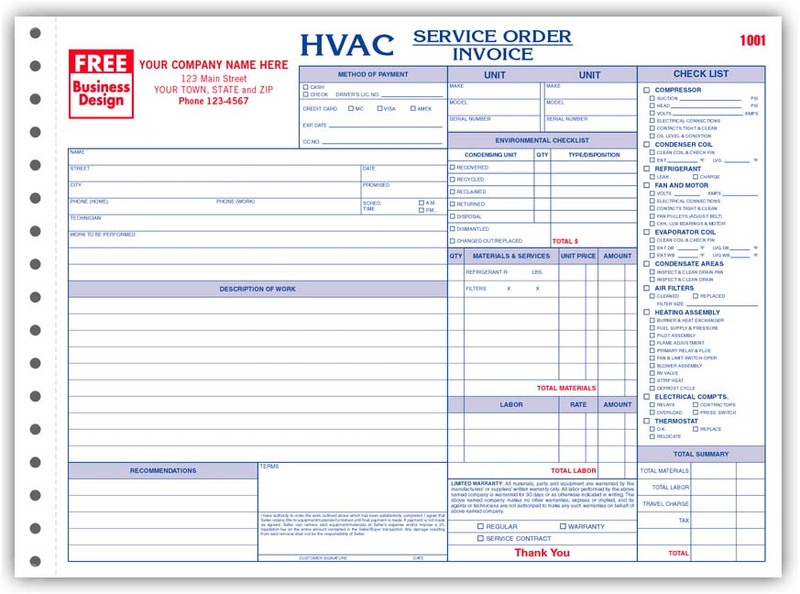 We offer 4 different versions of HVAC Invoices / Service orders. All versions are pre-printed with your Company Heading, 3 Parts NCR with the last part a manila tag stock and are consecutively numbered. 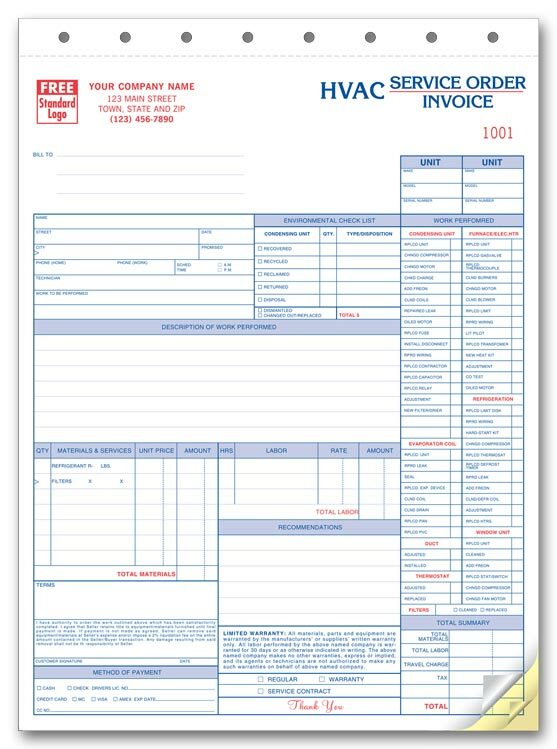 Please Fax the Heading information to be printed on the HVAC Service Orders / Invoices to (973) 252-1885 and be sure to reference your order number.